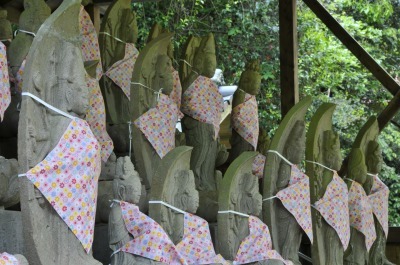 The folks in Sakaiminato, Tottori, paint a jizo with miso in the Misoname Jizosai during the Koyu-ji Buddhist temple last month. 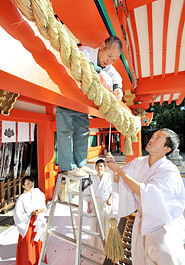 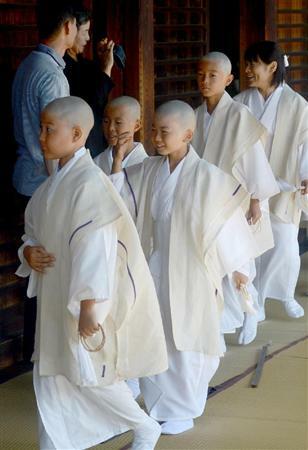 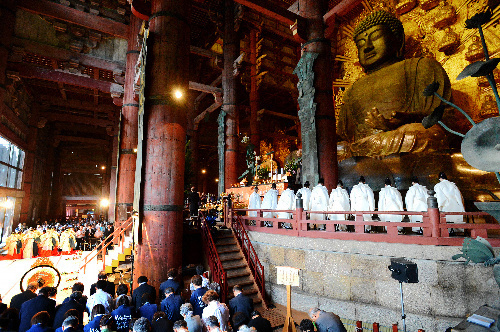 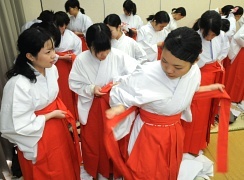 Several hundred people come each year to observe the custom that coating a particular part of the jizo with miso will cure any problems in the corresponding body part of the coater. 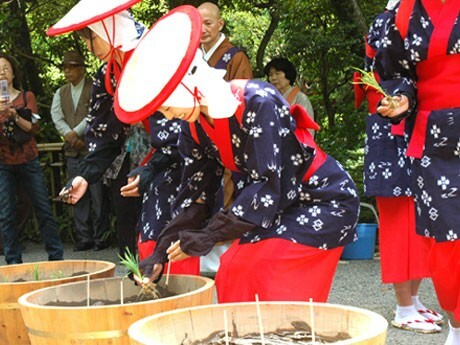 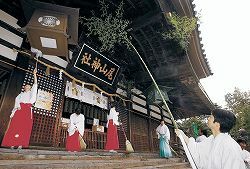 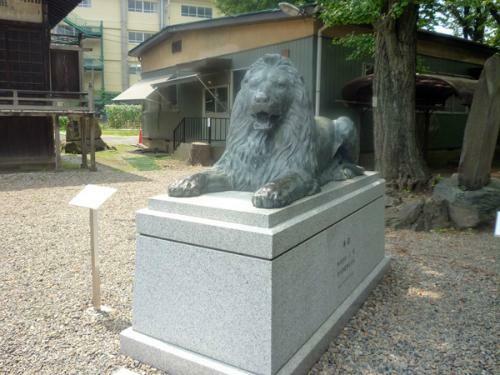 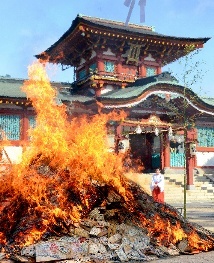 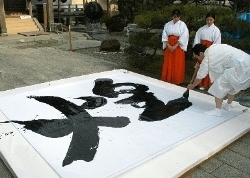 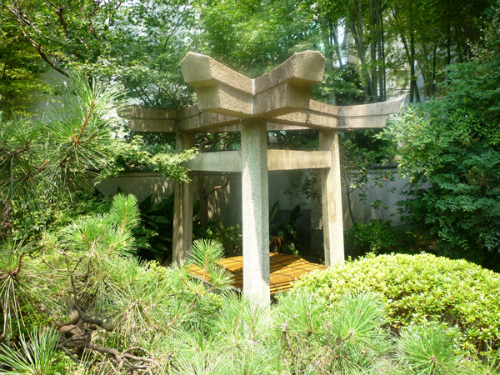 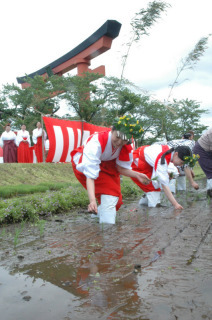 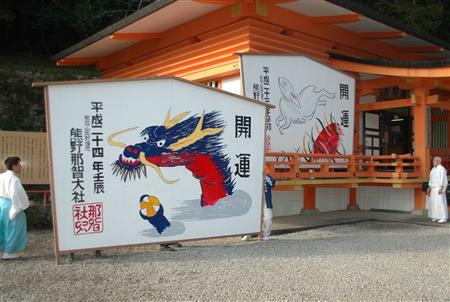 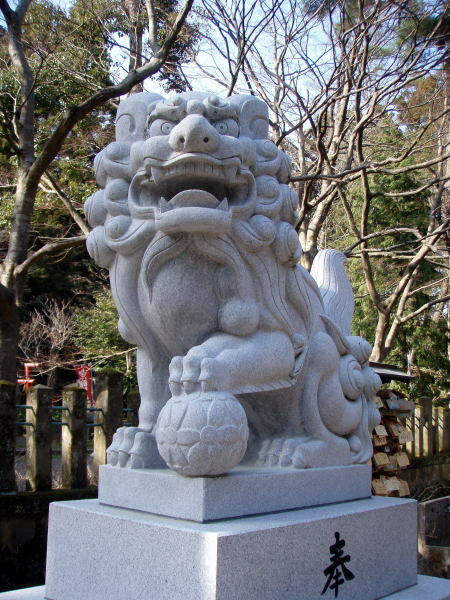 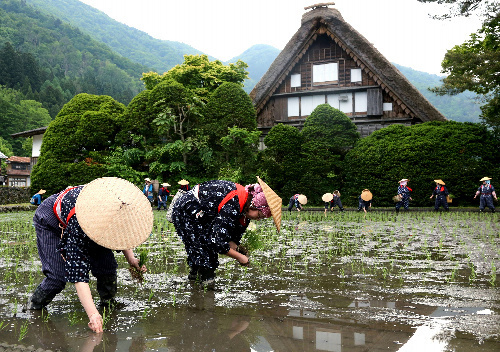 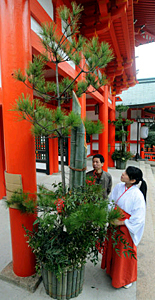 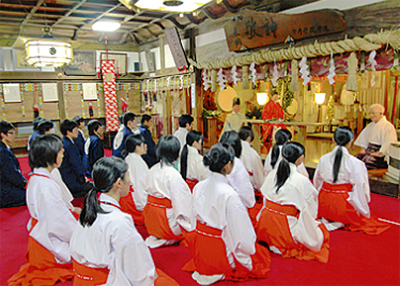 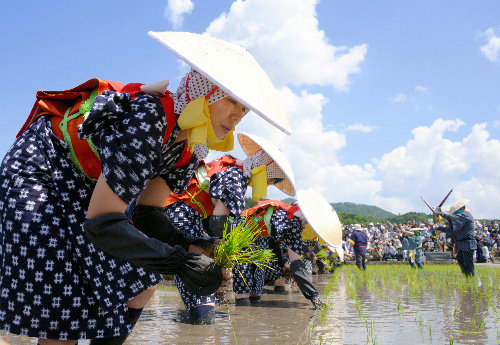 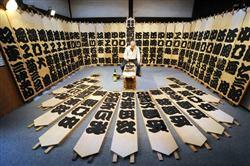 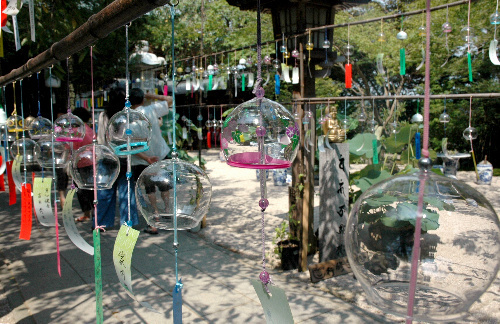 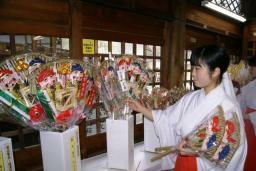 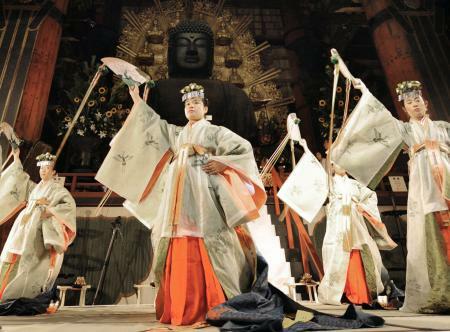 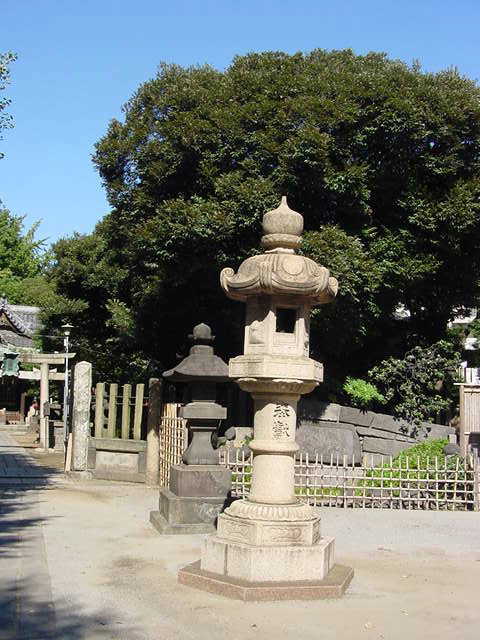 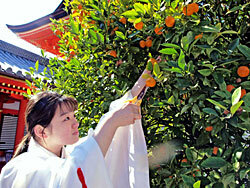 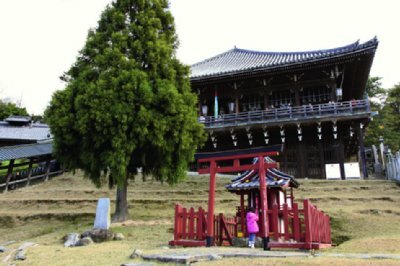 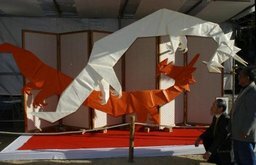 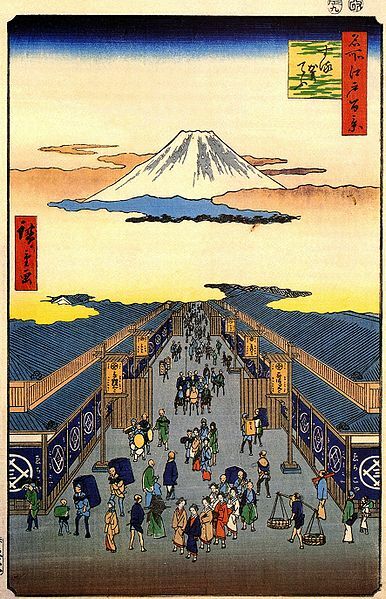 The festival began during the Edo period, died out after the war, and was resumed in 1980. 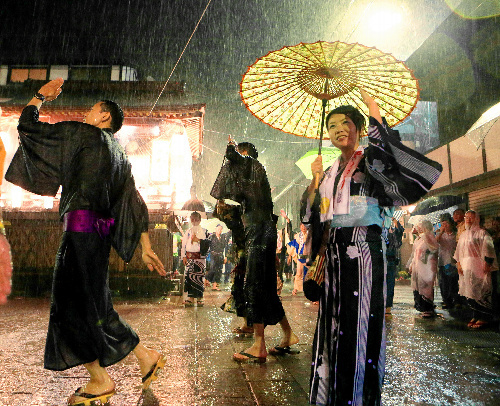 The all-night Gujo odori, the local form of bon odori in Gujo, Gifu, held earlier this month in the rain. 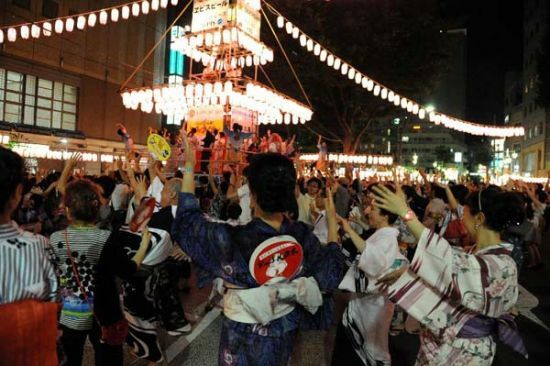 Dating from the 18th century, the event starts every year at 8:00 p.m. and continues until about 4:00 a.m. People form rings and dance whenever and wherever they feel like it. 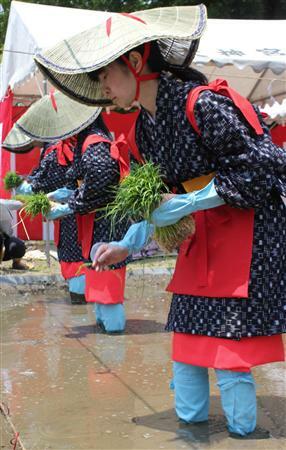 Photo and video from the Asahi Shimbun. 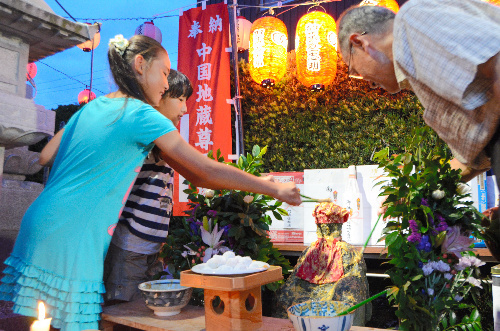 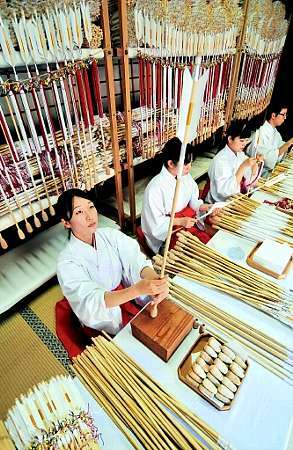 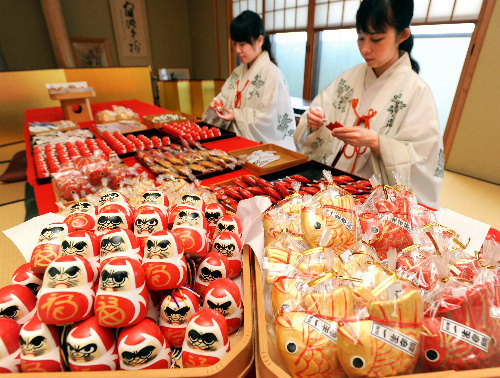 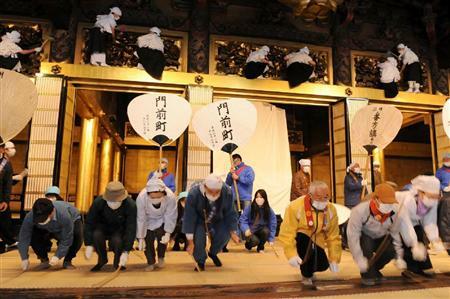 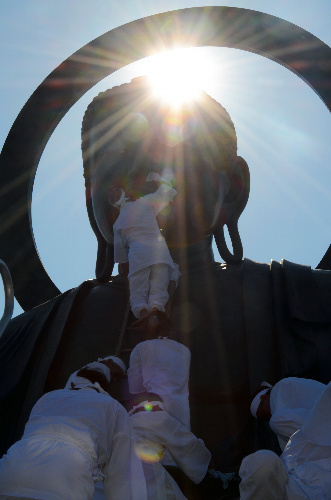 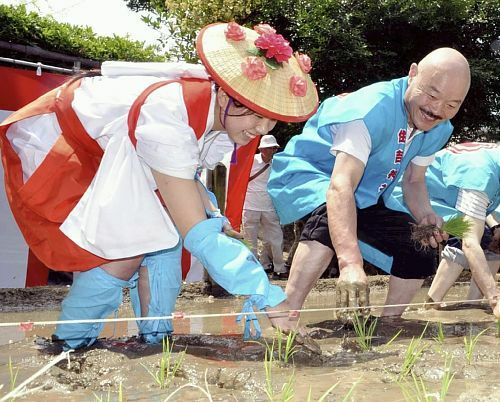 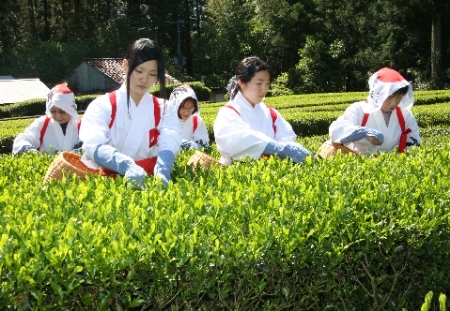 The Shoronagashi, held throughout Nagasaki City on the 15th. 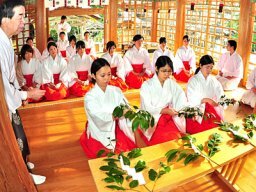 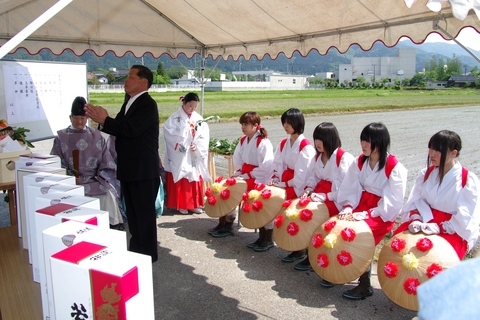 People place the spirits of the dead, who have returned for their first O-bon, on boats for the trip to the “pure land of the West”. 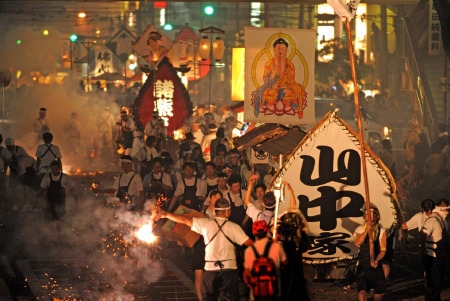 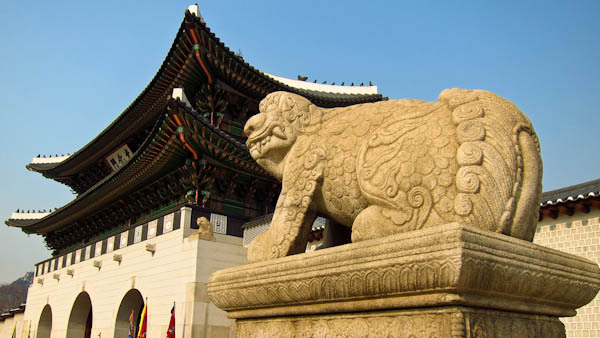 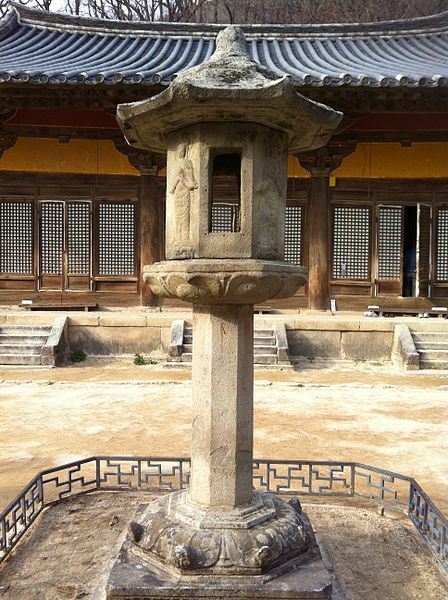 This is accompanied by processions, lanterns, and firecrackers. 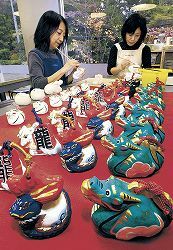 The photo is from the Mainichi Shimbun, and the video is from the Asahi Shimbun. 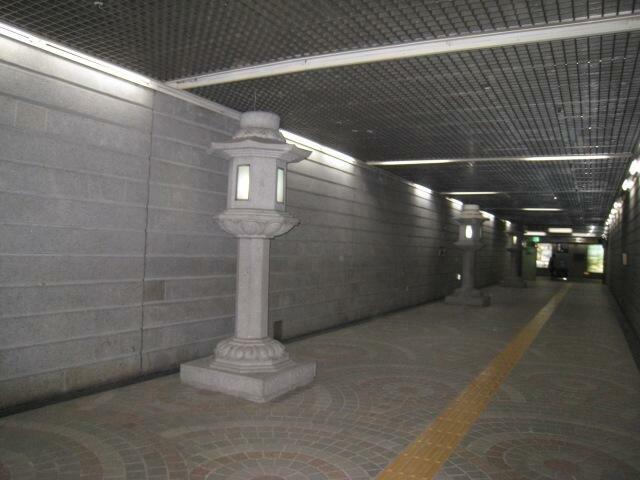 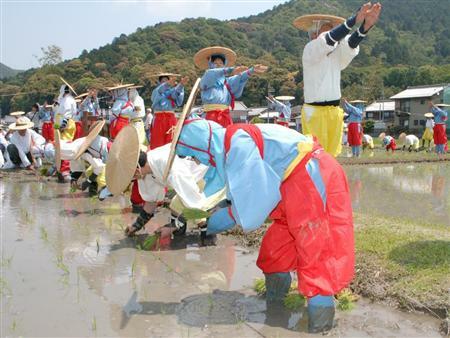 This is a traditional Buddhist dance performed as an offering while going from house to house in the neighborhood. 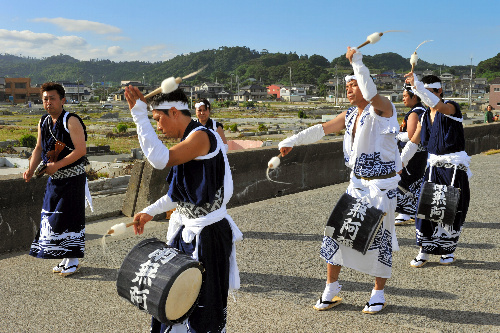 In this neighborhood, 50 people died and 1,360 homes were either partially or completely destroyed in last year’s tsunami. 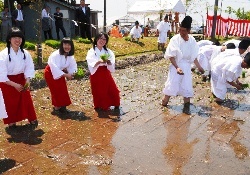 You can hear the sound of the waves in the video.